At Tennessee Valley Federal Credit Union (TVFCU), we’re helping our members live the life they love. As part of this, we’re committed to being involved in the communities we serve by supporting local events, programs and initiatives. Our employees take pride in being a part of our communities and enjoy meeting members. If you see us in your community, please be sure to stop by and say hello. 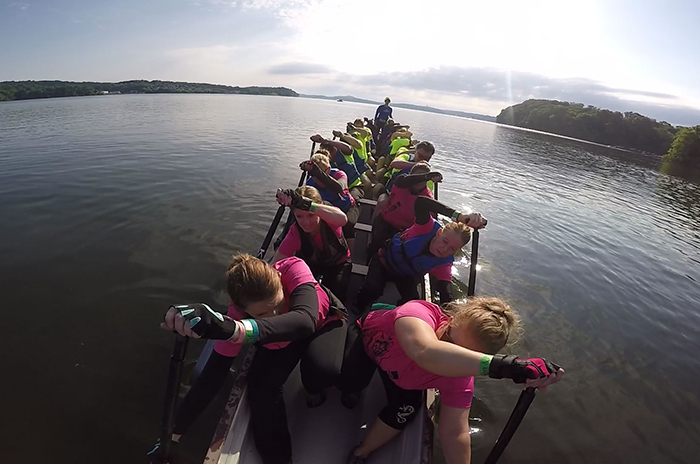 Discover financial tips, updates on TVFCU events and more — check out our blog! 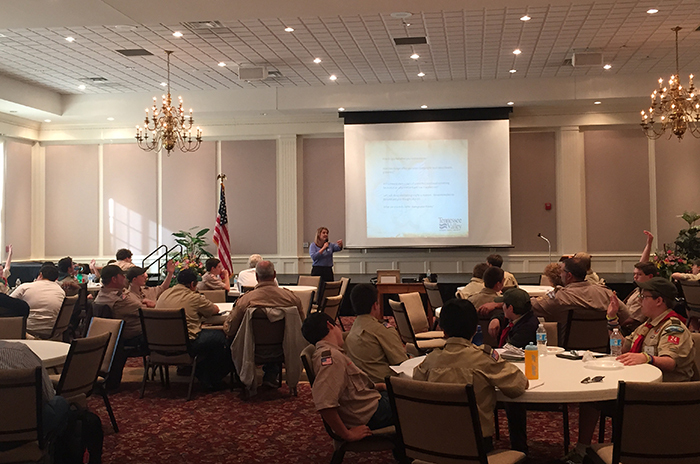 Tammy Zumbrun, community relations specialist, presents a financial literacy merit badge workshop to regional Boy Scouts. 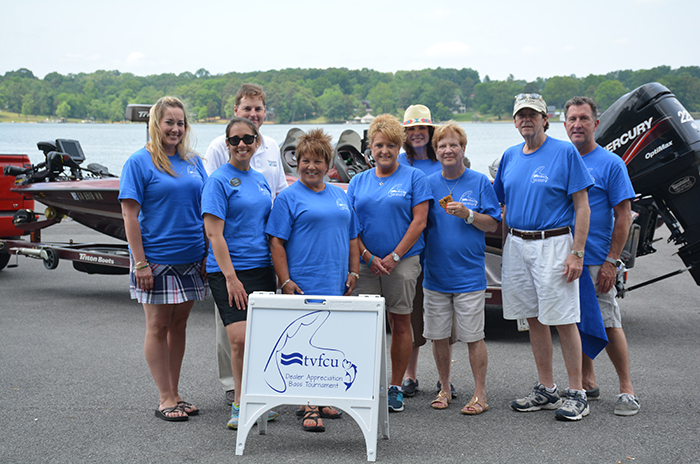 Employees smile after the inaugural Dealer Appreciation Bass Fishing Tournament.